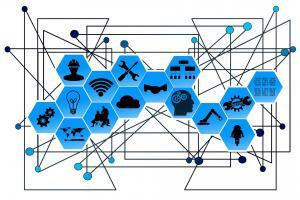 In the Internet of Things (IoT) machines or device communicate with each other: Smart objects and machines, which communicate through machine-to-machine communication (M2M). IoT sensors measure various data and transmit them wireless into the internet to some IoT server or IoT cloud platform. up2net is the new chip45 family of IoT components. Simple to use modules and boards come with the particular wireless base technology on board and allow a very fast implementation of your application. The modules and board can be extended easily and matched to your application requirements. BLE/LoRa Evalboards - Click here to show whole category. iDwaRF Sensor Network - Click here to show whole category. Programmable 2.4GHz Radio Module with AVR ATmega328P. Evaluation platform for wireless sensor network applications based on the iDwaRF-328 module. Wireless Sensor Network USB Host Interface Board. Programmable 2.4GHz Radio Base Station with AVR ATmega128.